Spacious 3 Bedroom | Excellent Location! For Rent! Stunning 5 Bedroom Villa w/ Superb View! 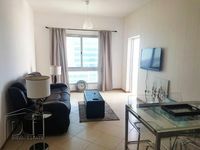 The featured properties for rent in Dubai represent good opportunities for all Dubai working or residing society to have a place in one of the most significant business and entertainment hub in the world and a fast growing city that it’s hitting its boundaries relentlessly and expanding at the expense of the surrounding scorching desert. Year after year, Dubai is turning the void into fancy residential communities, business areas, streets, expanses of green areas, and many other. It’s being built in accordance to the latest modern standards to stand as a model for modernity. 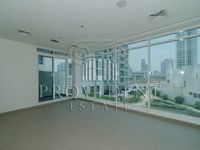 Dubai bounds with a huge selection of properties available for rent varying between residential and commercial sectors. 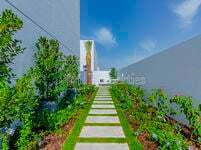 There are apartments, studios, townhouses, villas, penthouses, offices, retail spaces, and many other. The available real estate products in Dubai offer a wide variety for property searchers. Staying in Dubai is absolutely a bliss thanks to its numerous recreational and entertainment spots unmatched by any other entertainment venues in the whole region. The emirate’s towers, malls, parks, beaches, even restaurants, and cafes are of top and unique quality. Moreover, the city bounds with corporates engaged in many businesses and offering many job opportunities. Dubai grabs experienced calibers from all around the world to take part in its bustling business environment. It’s also a rising logistic hub standing as a connecting harbor between east and west, not to mention the startling large-scale real estate projects currently under construction to lay down a strong infrastructure for the city in preparation of hosting international events like Expo 2020 and other exhibitions. 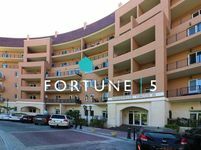 Our specialized listing pages of Dubai properties for rent is bound with a huge amount of properties scattered throughout many locations and sub locations in the emirate and varying in size, rental price, and quality. Most of Dubai’s localities are interconnected with active public transportation networks like Dubai Metro in addition to roads and highways facilitating traffic. Between the top demanded areas in Dubai are Dubai Marina, Palm Jumeirah, Jumeirah Village Circle, Business Bay, and Jumeirah Towers. These locations are the throbbing heart of Dubai, they are near the most popular tourist hotspots like Dubai Mall, Khalifa Tower, Emirates Mall, and other. Just Property offers many properties hand picked by professional sales agents from different vendors all aimed at reaching customers’ full satisfaction. There are many displayed villas, apartments, and other types of properties for rent organized in simple and clear arrangement to make it clear for searchers to check what they are looking for. All properties are accompanied by quality images and description text to convey a full image of its advantages and current status. Contact numbers are available for all users, email address is there as well. Property searchers are free to contact vendors if they need further inquiry about any listed property or need to book one. Renting a property in Dubai is a simple mission. All needed is personal identification papers and visa of the potential tenant in addition to signing the tenancy contract. The property agent is entitled to show assistance on all these matters until the property is delivered to the tenant.